Loose straps and webbing are not only annoying, but can be downright dangerous getting tangled with other objects. When straps and webbing start getting out of control, keep them in line with the Strap Tender by Gear Aid. Easy to use, the Strap Tender includes a split buckle that attaches to webbing, plus a shock cord loop that secures the loose webbing ends. The shock cord locks tight and releases quickly for adjustments on the trail. 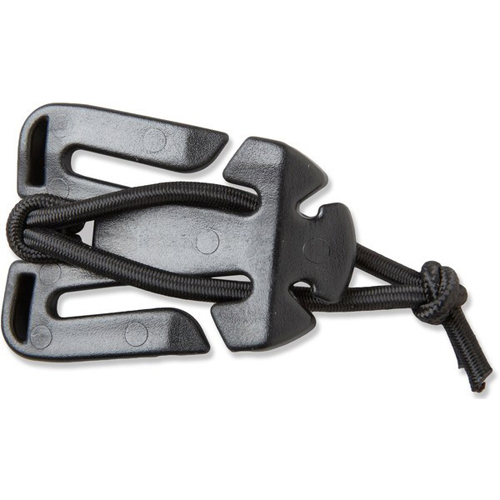 Tie up your loose ends with the Strap Tender by Gear Aid.